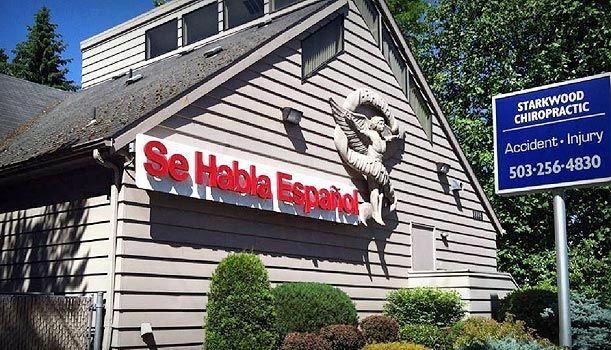 Our Portland Chiropractic office is located on Stark St and 111th ave in East Portland just off I-205 in the Hazelwood neighborhood of Southest Portland. Our office is easily accessible from downtown via I-84 and many of our patients come from all over the Portland metro area via the War Veterans Memorial Highway (I-205). Our facilities are located on the north side of Stark St less than a mile from Mall 205. The nearest major thoroughfares are Burnside St, Division St and of course Washington St which runs parallel with Stark St in this area of Portland, Oregon. Being one block south of Burnside means we are literally located in East Portland. For those that don’t know, Burnside divides South Portland from North Portland. Some nearby neighborhoods include Hazelwood, Parkrose Heights, Glenfair, Montavilla, Mill Park, Mt Tabor, Madison South, Centennial, Foster-Powell, and Mt Scott. There are a lot of recreational facilities located nearby including the Glendoveer Golf Course, Rose City Golf Course, and Mt Tabor City Park. We always have time for emergency patients so if you find yourself participating in activities at one of these nearby parks and experience a back tweak or something similar, give us a call or just drop by. Our Portland office is open Monday through Friday. If you are unfamiliar with the area there are a few nearby major landmarks that might help you navigate to our Portland chiropractic office a little easier. Adventist Medical Center is located just a few blocks southwest of us just one block south of Mall 205. Cherry Park Elementary School and Ventura Park Elementary School are both located nearby as are the parks by the same name (Ventura Park & Cherry Park). Other educational establishments that are located close to our office are Warner Pacific College, Columbia Christian Schools, and Multnomah University. Automobile accidents can be devastating physically and emotionally. Motor vehicle accident injuries can have long lasting damaging effects on your body. Fortunately, the Portland Chiropractors at Starkwood Chiropractic are experts in the techniques needed to help alleviate pain and heal the damage caused by your auto accident. We personalize your treatment to relieve your pain wherever you may be hurting. Auto insurance and health insurance may cover your treatments. Visit our insurance page to find out if you are covered. Even if you don’t have a potentially hazardous job, injuries can happen on the job. When they do Workers Compensation often kicks in to help pay for your recovery. We recommend you maximize your healing potential by visiting a chiropractor. Back and neck injuries can hinder your ability to perform daily activities. Our Portland Chiropractors are experts in providing care for such injuries. Our primary goal is to help you feel better by using proven techniques that will help decrease your pain and increase mobility so you can get back to living your life. Chiropractic services aren’t just for those who are injured or in pain. Chiropractic care is a great way to keep your body in proper alignment and help prevent injuries or alleviate discomfort caused by bad posture. The techniques used by our Portland Chiropractors for maintenance and preventative care are customized for each patient to the help keep your body moving how it’s supposed to. Starkwood Chiropractors are experienced working with children of all ages. There are a number of conditions that manifest in children and teens that can be treated with pediatric chiropractic medicine. Many of our pediatric patients visit us because of sports related injuries associated with school athletics. Contact us today to learn more about our Portland Pediatric Chiropractic care options. One of the most common sports injury we see in our office on a regular basis is associated with weight lifting. Strength training and weight lifting can be beneficial for lean mass, bone density, and overall health but it can also be attributed to many injuries incurred by weekend warriors. If you find yourself injured from a weight lifting accident, give us a call. Our chiropractors are experts in alleviating pain associated with sports injuries involving weight lifting. Another primary cause of sports injury is organized athletics in schools. Adolescents and teens bodies are developing and any injury incurred while playing sports could cause long term damage due to being undeveloped. 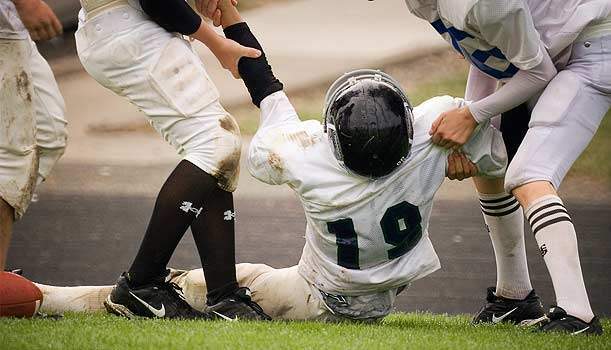 Make sure that your child doesn’t experience challenging long term pain caused by youth sports injuries. Staying healthy is a challenge for most of us. 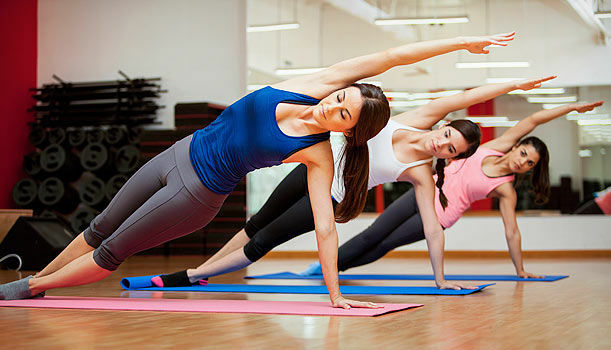 During your efforts to stay fit make sure you are focused on developing core strength, flexibility and mobility.